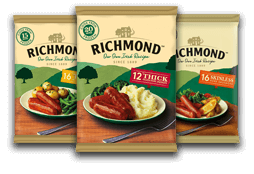 Pork (42%), Water, Pork Fat (10%), Rusk (Wheat), Potato Starch, Soya Protein Concentrate. 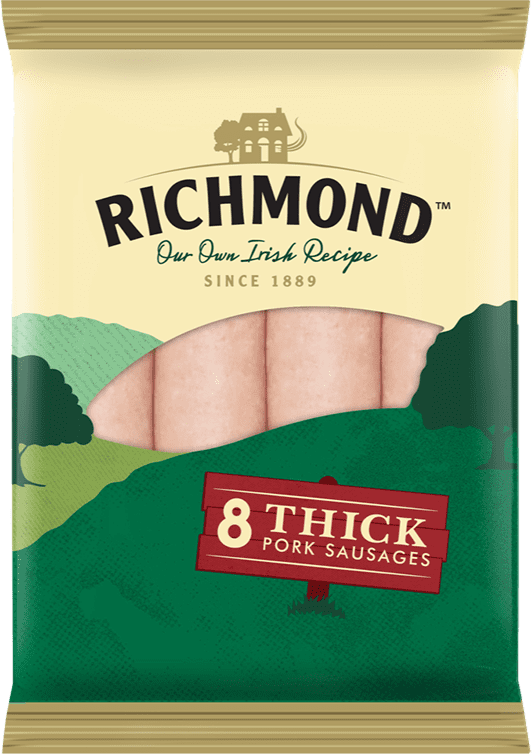 Ingredients less than 2%: Salt, Flavourings, Stabilisers: Diphosphates, Guar Gum; Antioxidants: E300 & E307; Preservative: Sodium Metabisulphite, Colour: Cochineal. Allergy Advice: For allergens, including cereals containing gluten, see ingredients in bold. 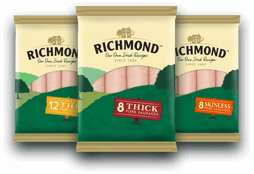 Made with the same love and care since 1889, there's nothing quite like the great, home cooked taste of Richmond Sausages for getting the family together at meal times. 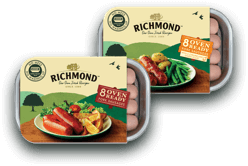 Sausages compliment yorkshire pudding perfectly, and what better way to serve up a family favourite? 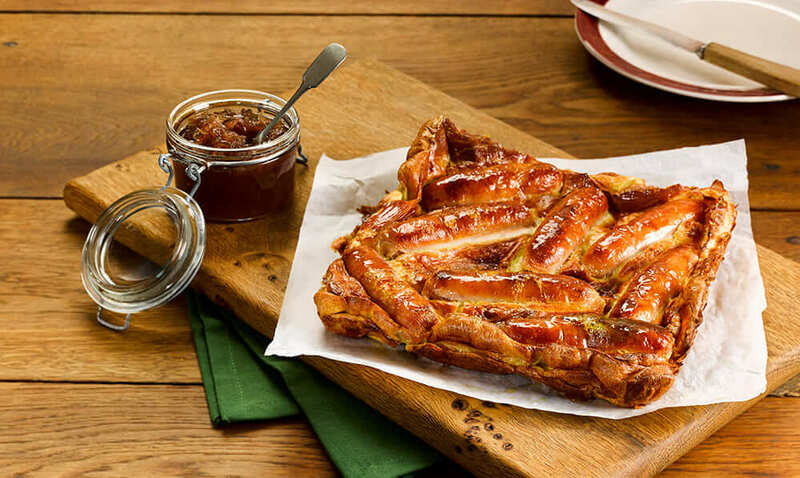 Try our toad-in-the-hole recipe.